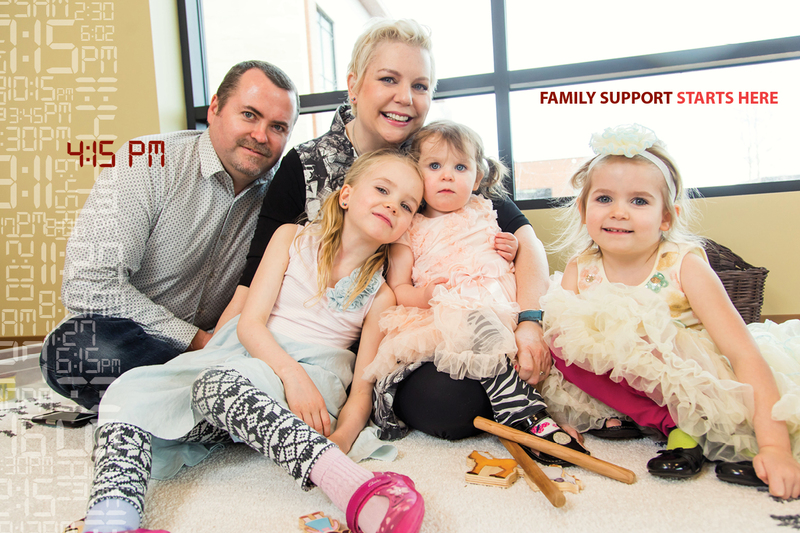 4:15 p.m. – The Lamer family picks up their three kids from child care which they are able to access through the help of YMCA Calgary’s Strong Kids Campaign donors. Every hour of every day, YMCA Calgary is making a difference in someone’s life. After announcing the upcoming arrival of their third child, Jason and Shelley Lamer anticipated the natural challenge of being outnumbered by their kids and planned for the extra commitment. What they never could have planned for was Shelley’s Stage 3 cancer diagnosis, just two weeks after the birth of their youngest child. They soon realized that a YMCA membership with options for fitness programs and quality child care was necessary for Shelley’s recovery as well as their kids’ health, growth and well-being. Thanks to support provided through the Strong Kids Campaign and the generosity of partners like Remington Development Corporation, which is the naming sponsor of the Remington YMCA, the Lamer’s home branch, families can access the quality programs and services offered by the Y. Remington Development Corporation also built the Quarry Park Child Development Centre where the Lamer’s youngest daughter spends her days. This investment, and the generosity of all YMCA donors, creates necessary supports.